Why would I need self storage in Fountain Valley, CA? There are a variety of reasons why you might need self-storage in Fountain Valley, CA. How much is a storage unit in Fountain Valley, CA? The cheapest storage unit in Fountain Valley, CA is $38.00 per month. What size storage units do you have available in Fountain Valley, CA? In Fountain Valley, CA we have sizes that range from 5'x5' to 15'x30' to suit your storage needs. How much is it for a 5'x5' storage unit in Fountain Valley, CA? The cheapest 5'x5' storage unit in Fountain Valley, CA is $38.00 per month. 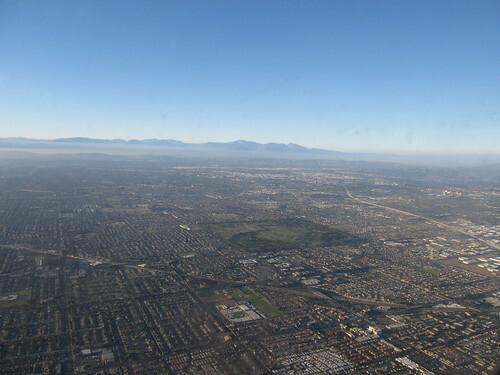 The city of Fountain Valley is considered a large suburb in Orange County, California. It's a popular home base for Southern California commuters, with many people driving into nearby urban centers for work. You'll find that no matter where you choose to work, living in Fountain Valley provides plenty of amenities and activities to enjoy in your off time. Early in the history of Fountain Valley, the area was full of swamps. The early name of the area was Gospel Swamps, with many locals alternately referring to it as Talbert. Drainage canals and artesian wells were created, setting the stage for excellent agricultural development. From there, farmers used the land for cattle grazing and growing crops such as beans, sugar beets, wheat and barley. The town was officially incorporated in 1957, and the name was changed to Fountain Valley due to the region's extremely high water table. In the 1970s and 1980s, Fountain Valley experienced a huge population boom due to the Fall of Saigon, which brought a large number of Asian immigrants to the area. Over the past few decades, it's continued to grow and evolve into the city it is today. Fountain Valley has established itself as a very family-friendly community, with a variety of local activities and amenities to keep both adults and children busy. At Mile Square Regional Park, you can take advantage of over 600 acres of green space and recreational facilities. The park has two large lakes, three full golf courses and an urban-nature area that's home to a variety of native California plants. A number of sport courts and gym facilities provide plenty of space for sports and exercise. The Fountain Valley School District and the Huntington Beach Union High School District serve the primary and secondary public schools in the city. The districts offer a number of special programs including the Academy for the Performing Arts, the Center for International Business and Communication Studies and International Baccalaureate programs. If you're looking for private schools in the city, options are somewhat limited, but there are a few campuses to choose from. Utilities: The city's main energy providers are Southern California Edison and Southern California Gas. The City of Fountain Valley manages residential water services. Garbage and Recycling: Most areas of Fountain Valley receive curbside collection services for trash and recyclables. Transportation: The Orange County Transportation Authority bus network provides a number of routes in and around Fountain Valley. The city also provides a senior citizen transportation program. The median home price in Fountain Valley is significantly higher than the state and national averages and is expected to continue on an upward trend. There are a variety of apartments in the area, though average rent prices are also fairly high. Our lowest priced units in Fountain Valley, CA average $53.33 per month. 165 people have reserved units in Fountain Valley, CA in the past 30 days. There are 3 locations within Fountain Valley, CA's city limits. There are 3 locations in Fountain Valley, CA that offer AC and Heating features.